We fabricate different kinds of Garden Umbrellas in various sizes and colours as per demands of customers. 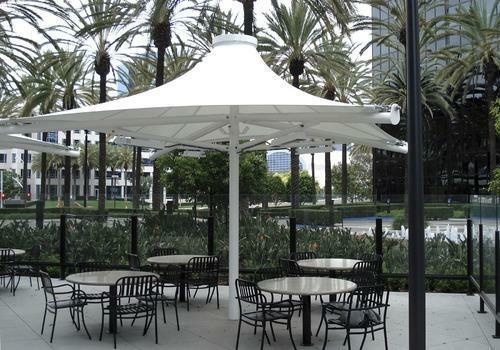 We designate Garden Umbrellas in Tensile fabric Structures which can be used for various types of functions. Our Garden Umbrellas are widely used to provide a courteous sitting place to organize such parties/functions. These Tents and Umbrellas are extremely durable because they are made from high quality fabrics, and other materials.